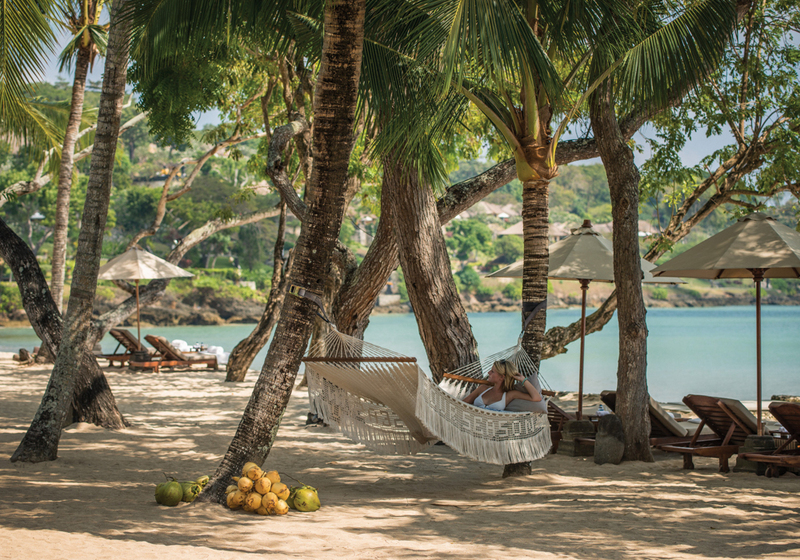 Over the last 10 years of writing for VIVA Magazine I’ve been lucky enough to travel to some of the most amazing resorts in the world. 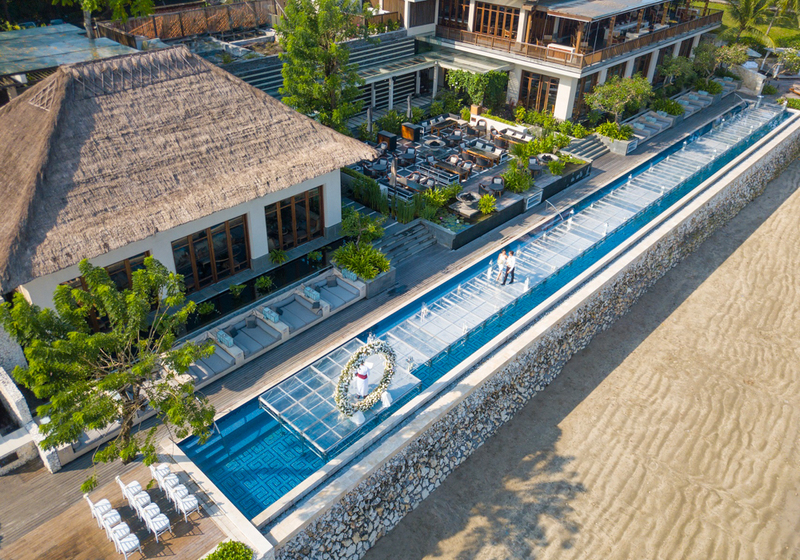 I can safely say that every time I’ve experienced a Four Seasons Resort it has been on a level of its own for pure luxury and tranquility. 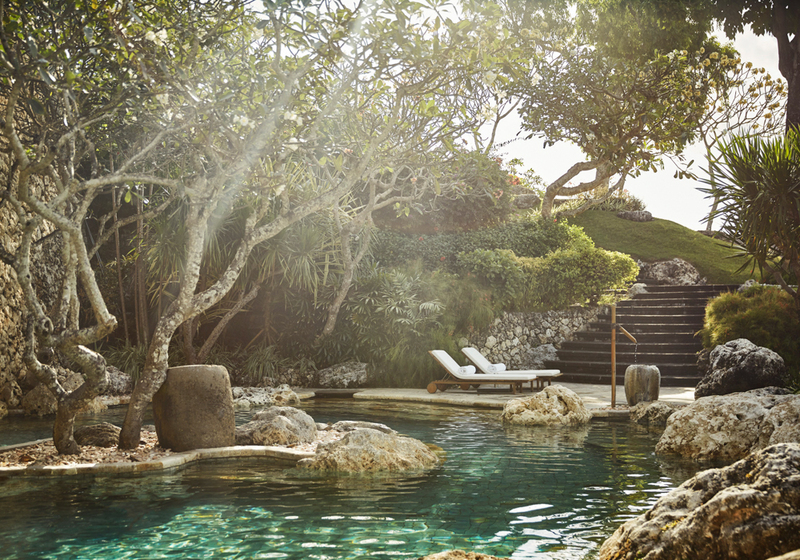 The Sayan and Jimbaran Bay locations in Bali were no exceptions, and are now in my top 3 Four Seasons Resorts you must experience! 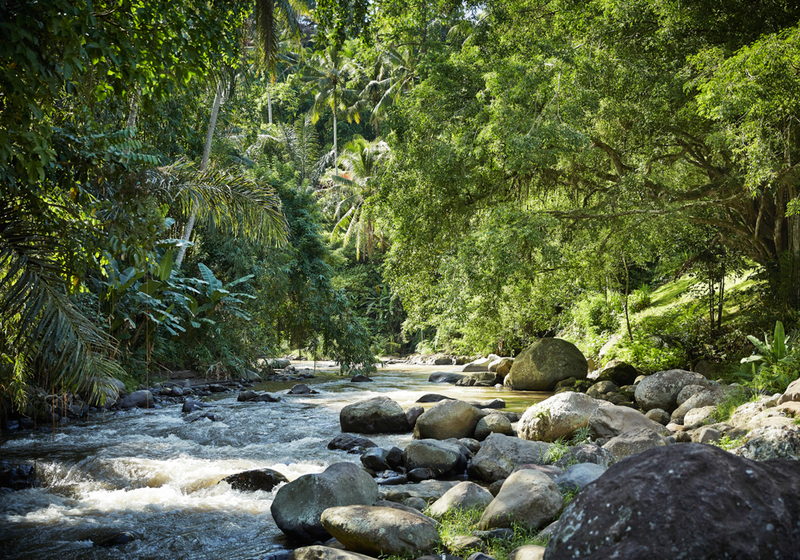 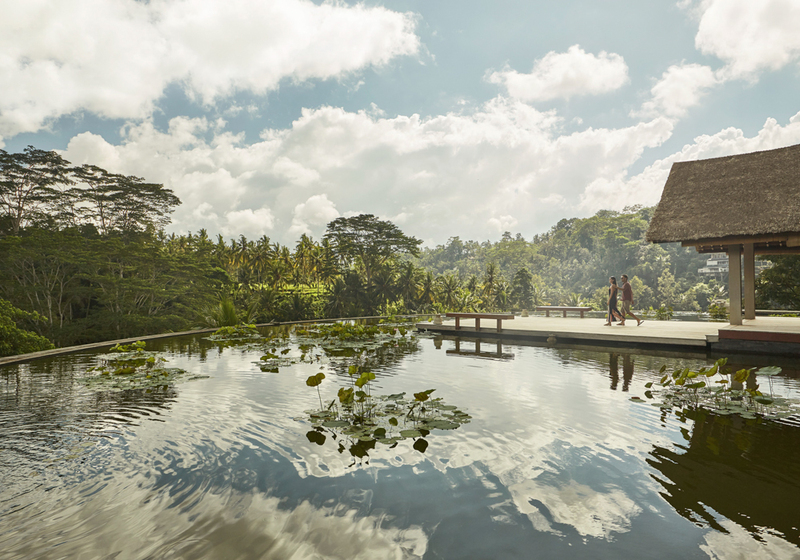 The Four Seasons Resort Sayan is an ethereal journey into the heart of Bali. 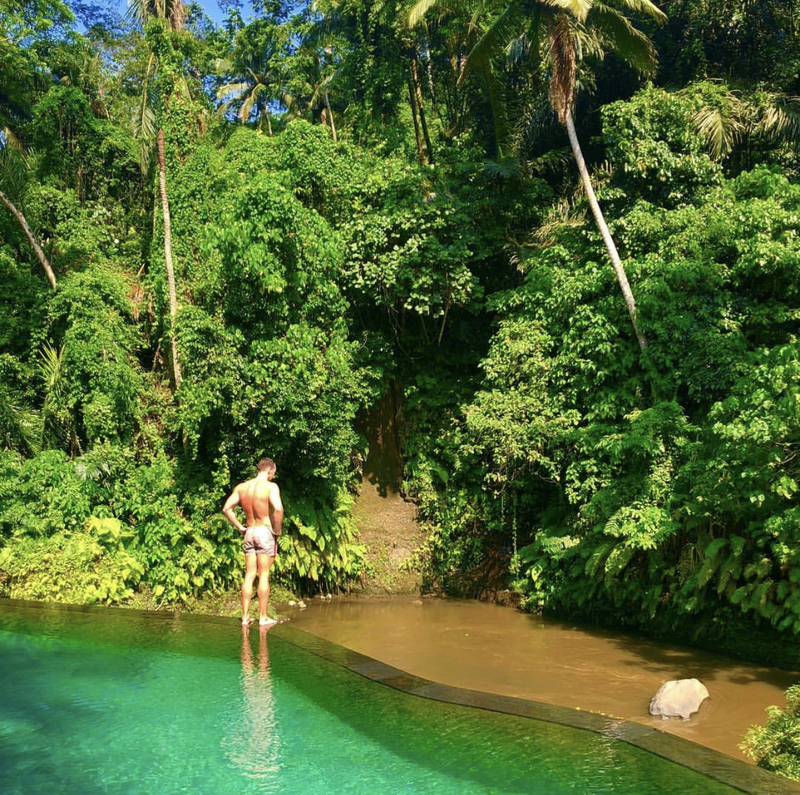 It opened in 1998 in a valley between two rivers: a Subak river (part of the UNESCO Heritage-listed subak irrigation network) and Bali’s longest river, the Ayung located close to one of my favourite Bali hotspots; Ubud. 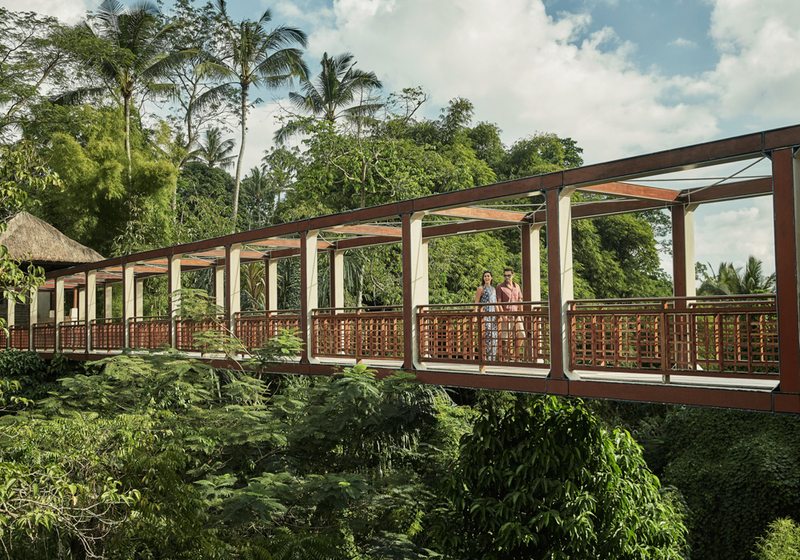 Situated over 7 hectares of lush jungle, you arrive at this architectural masterpiece via a dramatic bridge and prepare for an ethereal descent through a valley of towering trees, tiered rice paddies and enchanting gardens that cocoon 60 suites and villas. 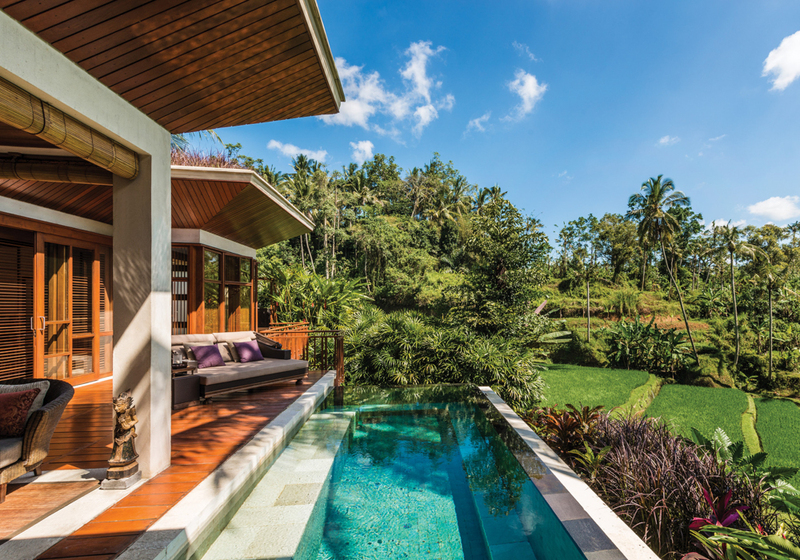 The Four Seasons Sayan hosts the most private villas in Bali. 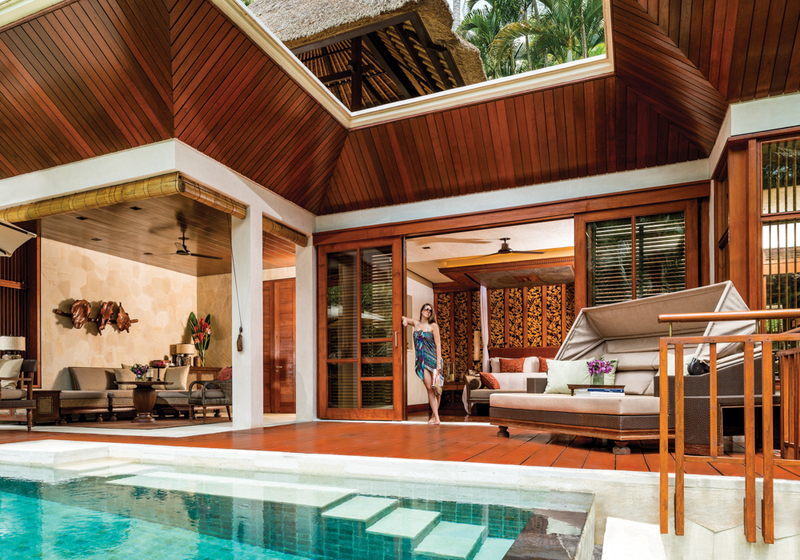 60 suites and villas offer river-front or elevated valley views, with natural and earthy decor and a unique below-ground design with rooftop pond and meditation deck. 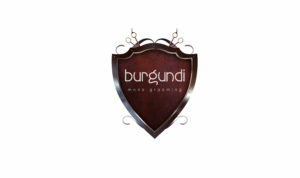 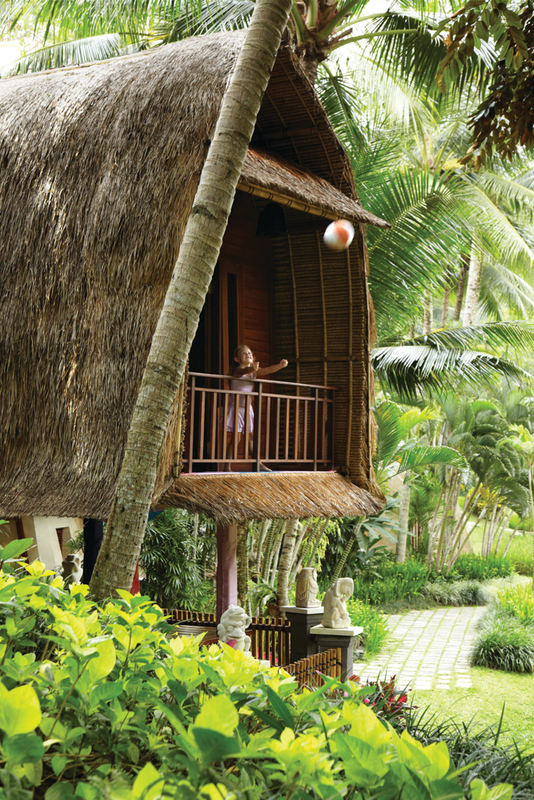 This resort is also famous for it’s signature experiences with on-site experts. 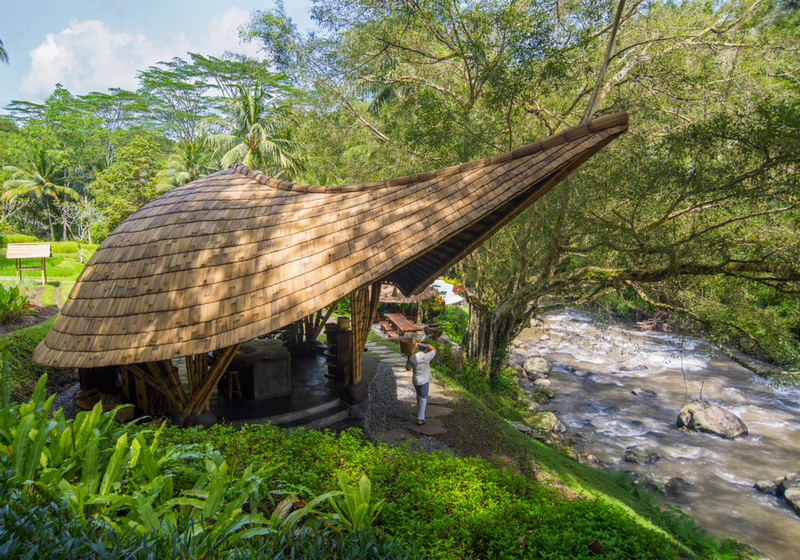 Over our stay we experienced a deep connection – both practical and spiritual – that Balinese have with food by joining a hands-on class at Sokasi, the new riverside cooking school. 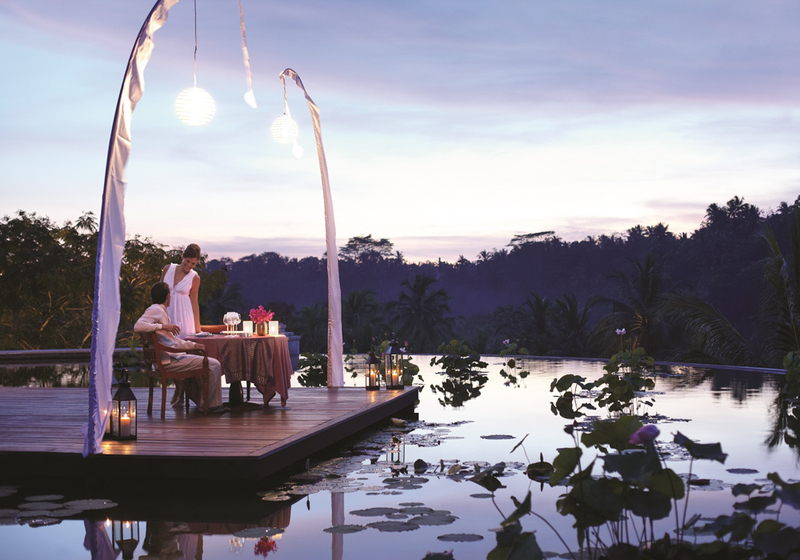 We made traditional dishes plus healthy, light cuisine inspired by Ubud as the centre of heeling and wellness in Bali. 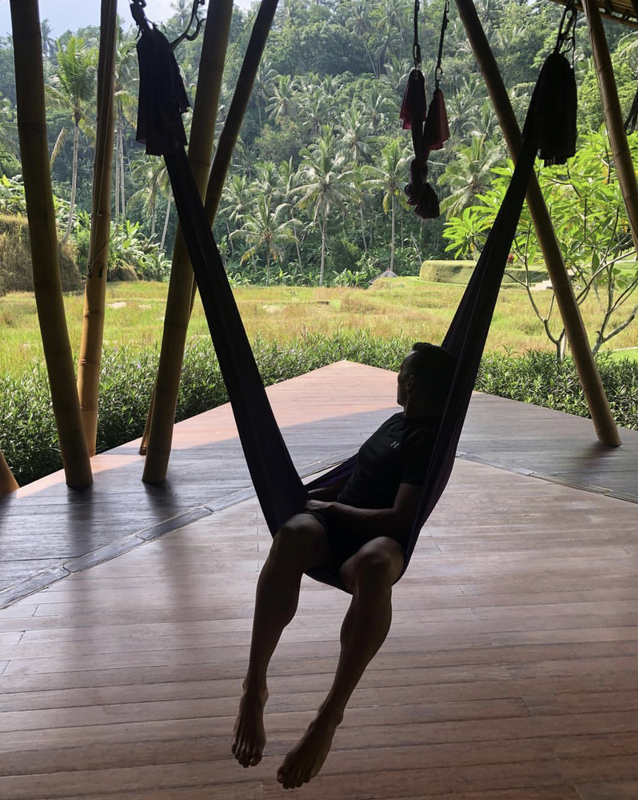 We also had a Sacred Nap in a silk hammock with Ibu Fera the resident wellness mentor and former Buddhist nun, sharing her wisdom of meditation as she chants and rocked us to sleep amongst the sounds of the jungle wildlife. 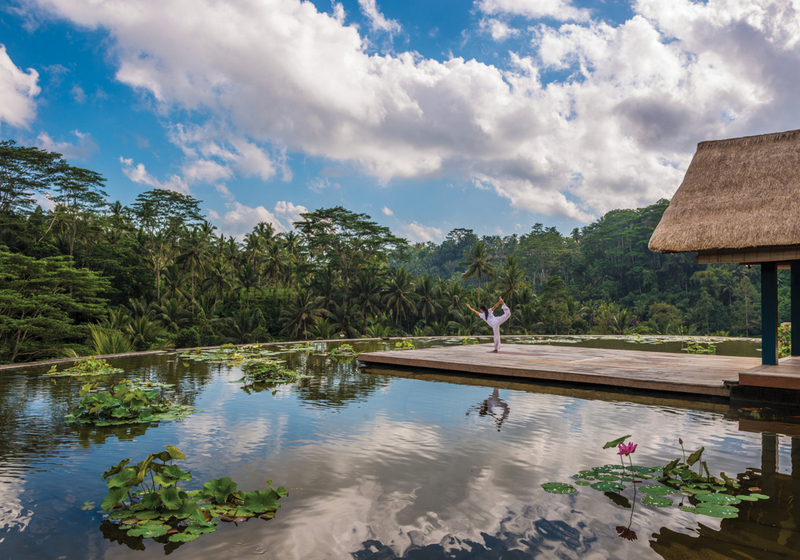 And of course we couldn’t come to Bali without going zen with some yoga. 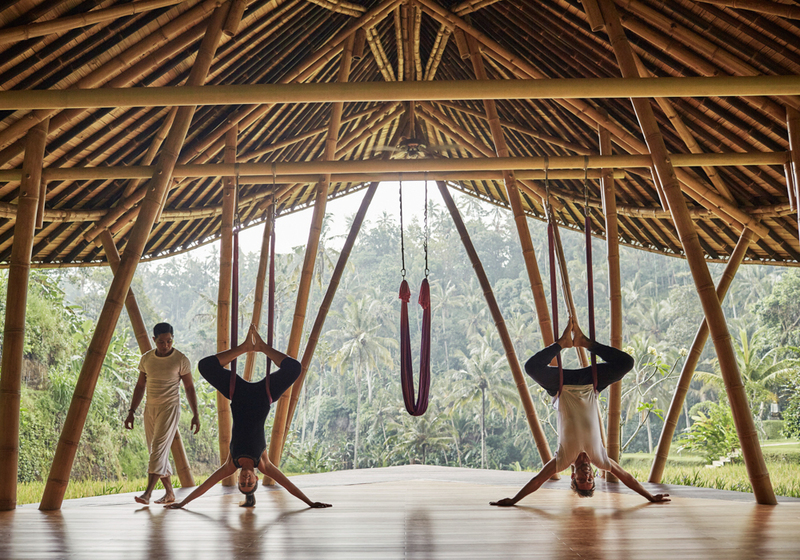 Resident yoga master Lilik leads innovative classes including AntiGravity ®, Full Moon, Laughter, Yin and Restorative Hot Stone Yoga. 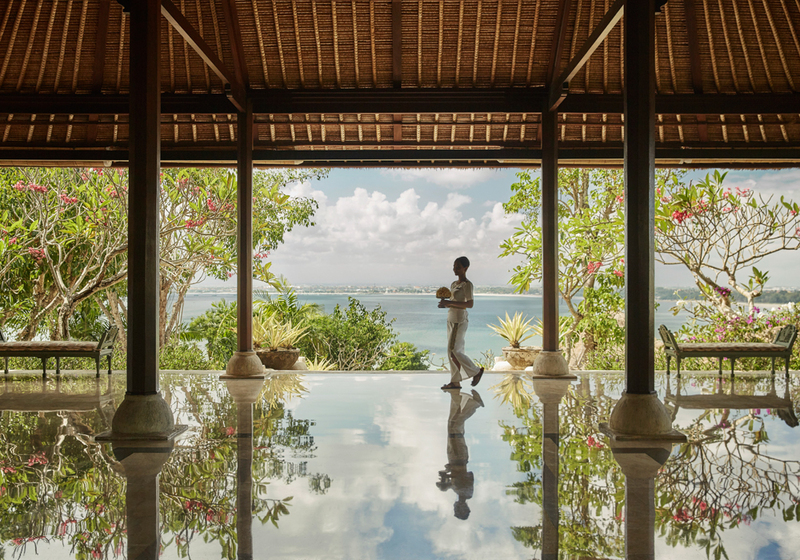 Located in a fishing village and coastal resort south of Kuta lies The Four Seasons Resort at Jimbaran Bay, an all-villa beach retreat alive with tradition and innovation. 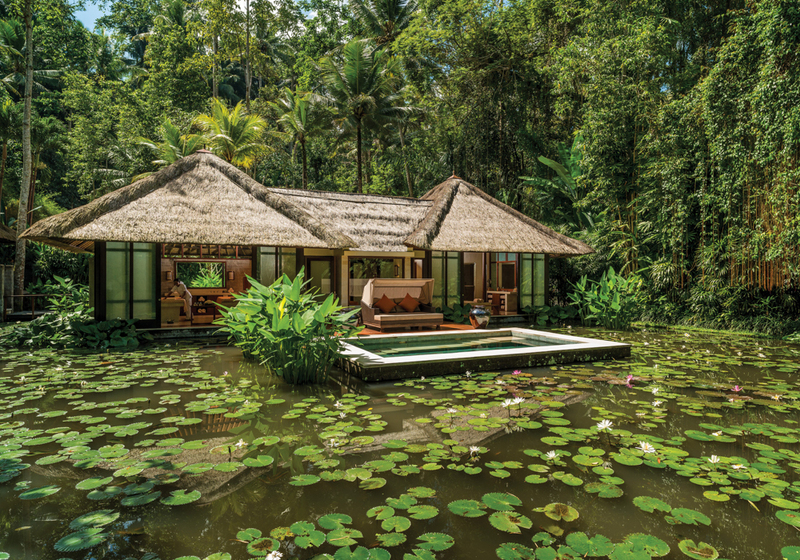 Inspired by a village layout, this iconic resort is arranged into seven small ‘villages’ each headed by a customary Village Chief delivering genuine hospitality. 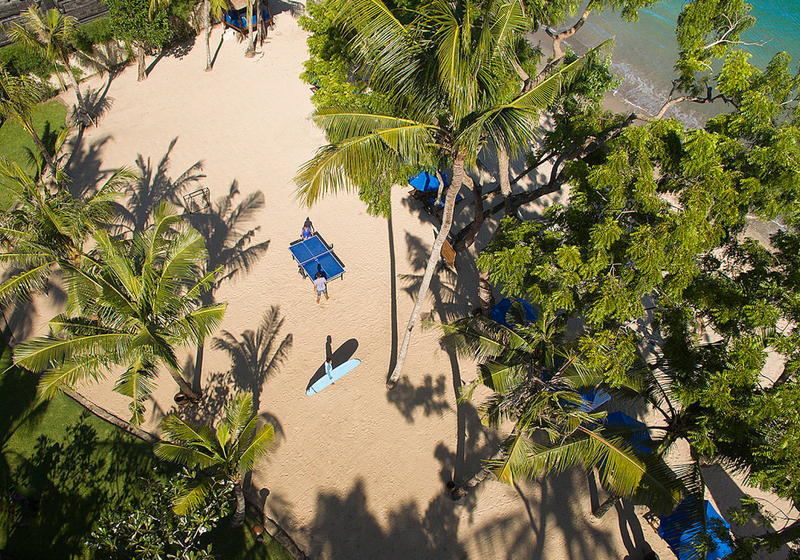 Hosting 14 hectares of tropical gardens cascading down to the ocean, and the 3 mile Jimbaran Beach, you can dive into the bay with exclusive water activities, ride the waves with TropicSurf, and connect to the vibrant pulse of Bali’s historic fishing community. 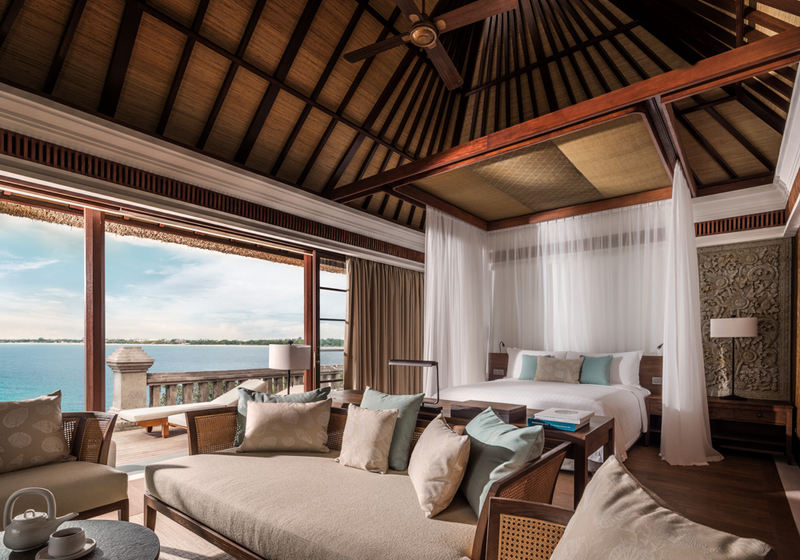 In 2017 the Jimbaran Bay Four Seasons Resort had a major renovation of all 147 pool villas. 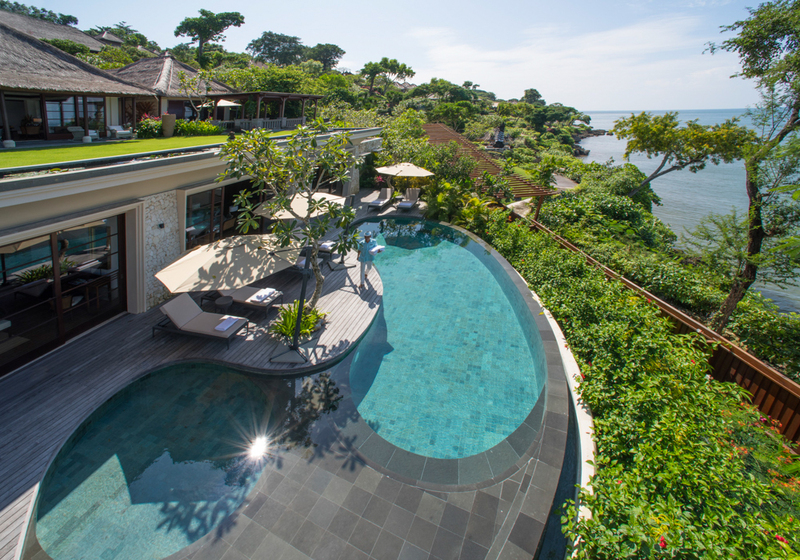 Each villa has contemporary Balinese décor combine with sparkling views and modern luxuries. 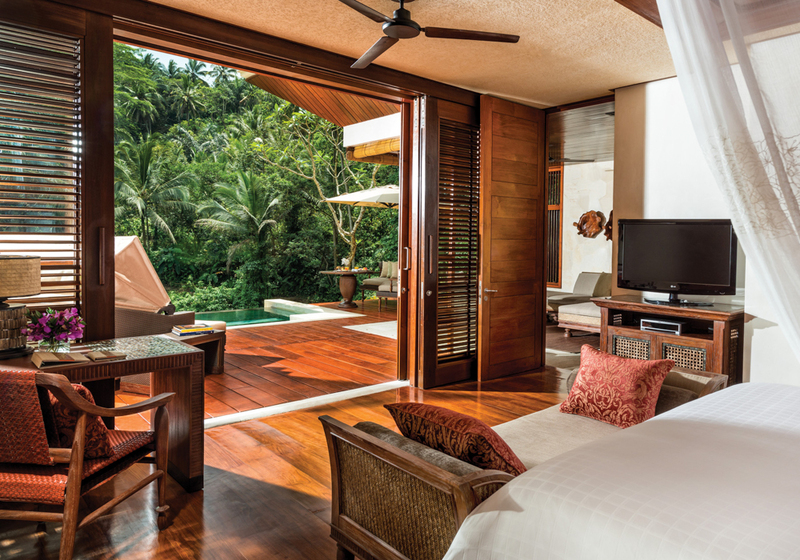 All villas have living areas, deluxe bathrooms and customized Four Seasons Bed for the ultimate sleep. 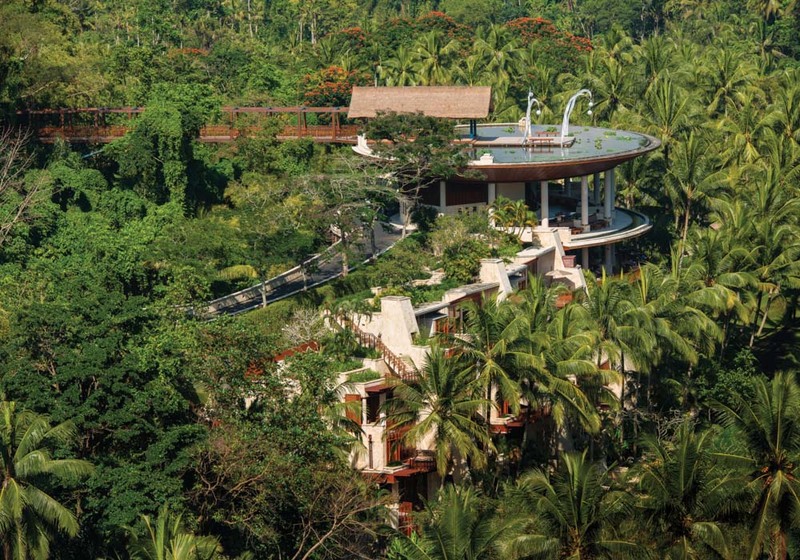 This resort hosts destination-inspired experiences. 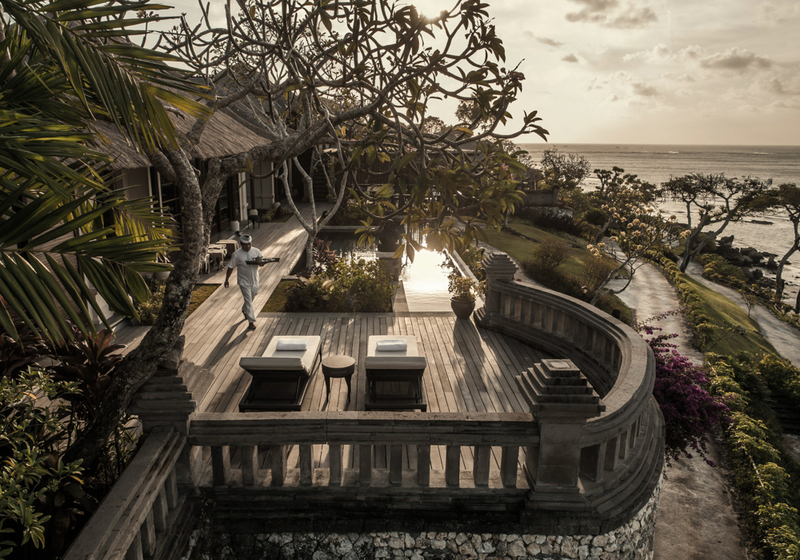 We met with High Priest Aji Ngurah who offers guests a deeper understanding of the uniquely Balinese culture through on-site resort temple ceremonies, tours, meditation and blessings. 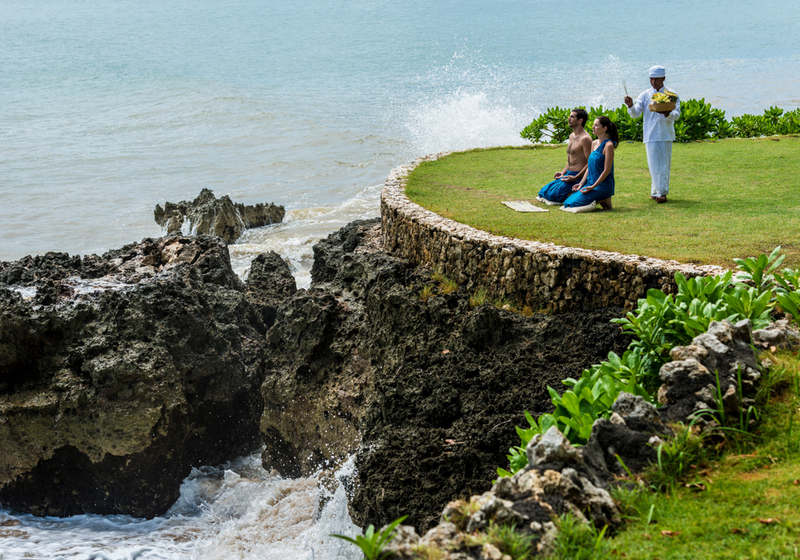 He took us on a tour to Goa Gong cave temple where we were honoured to take part in a water blessing. 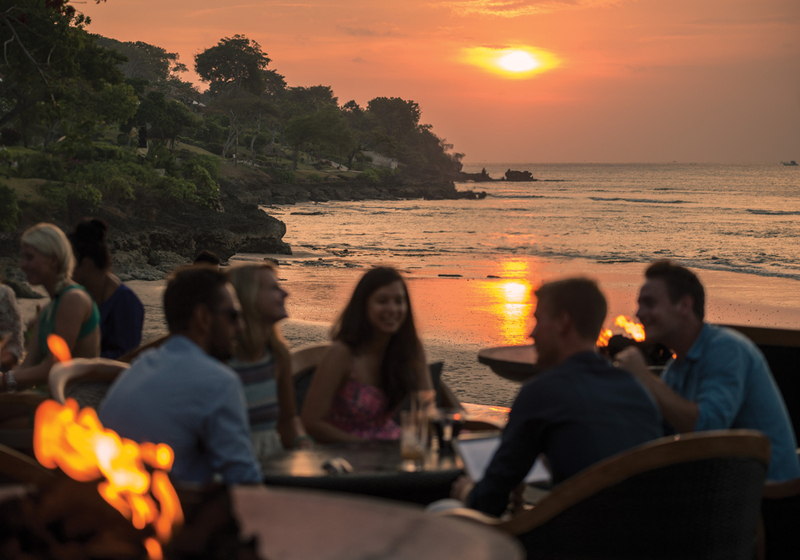 We spent most of our time at this resort soaking up the chic vibe of Sundara, Bali’s most sophisticated beach-club and dining destination. 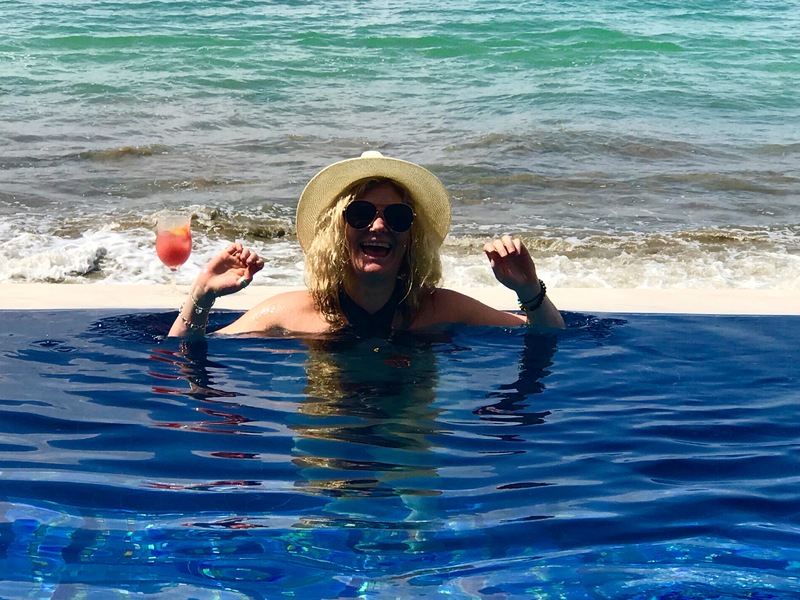 We chilled in our beach front day bed sipping on cocktails and made our way through the iconic restaurant’s tapas-style menu which features the World’s Best Chocolate Dessert created by world champion chef Yusuke Aoki. 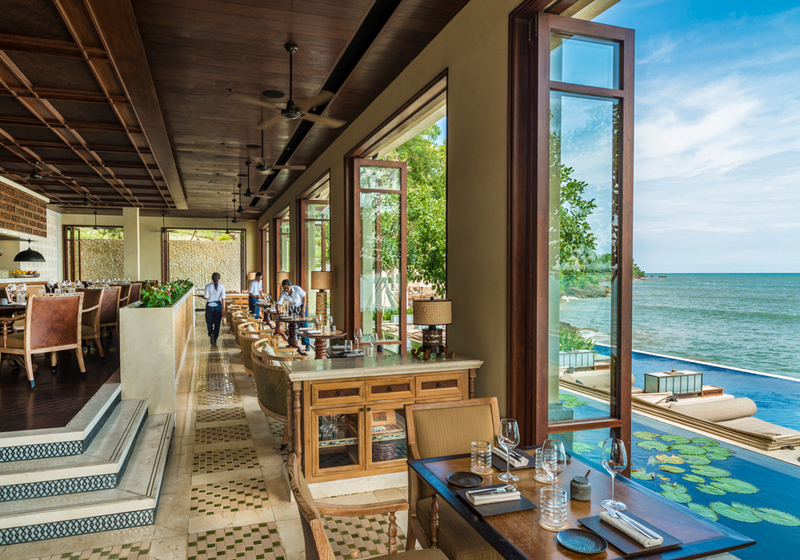 The menu is also glazing with a unlimited selection of small modern Asian inspired cuisine plates from cold to hot dishes priced at IDR 595.000 (£32.50). 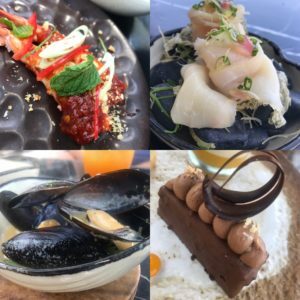 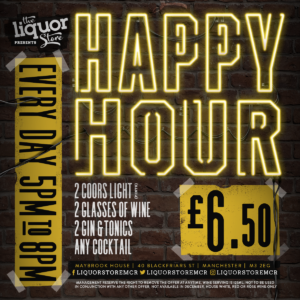 You must also try the Hall Of Fame cocktail list but be careful they are made very strong, which we weren’t complaining about! 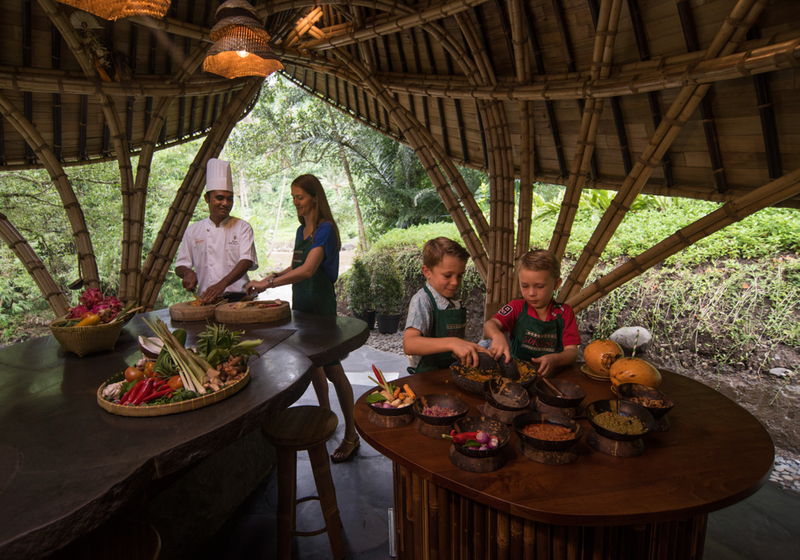 By night we eat in the new dining experience at Taman Wantilan which has just reopened after major renovation. 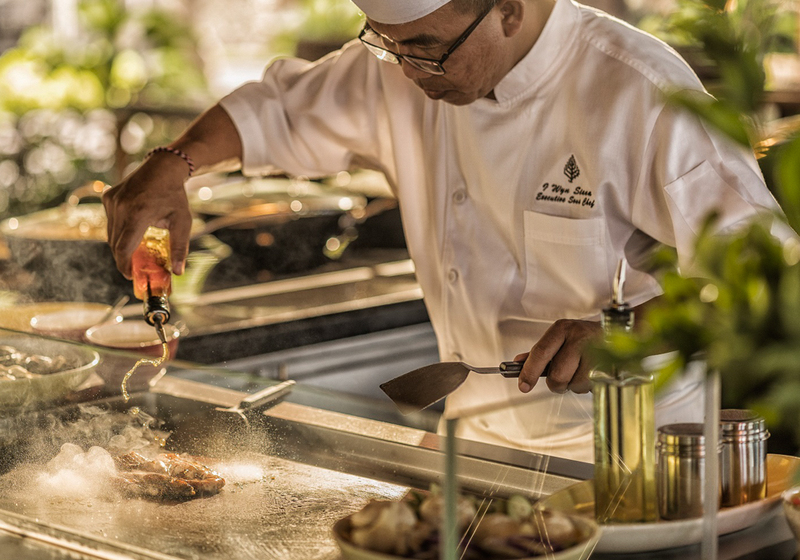 The new design concept sees the chefs take centre stage with 9 live action cooking station serving Western and Asian cuisine against sparkling ocean views. 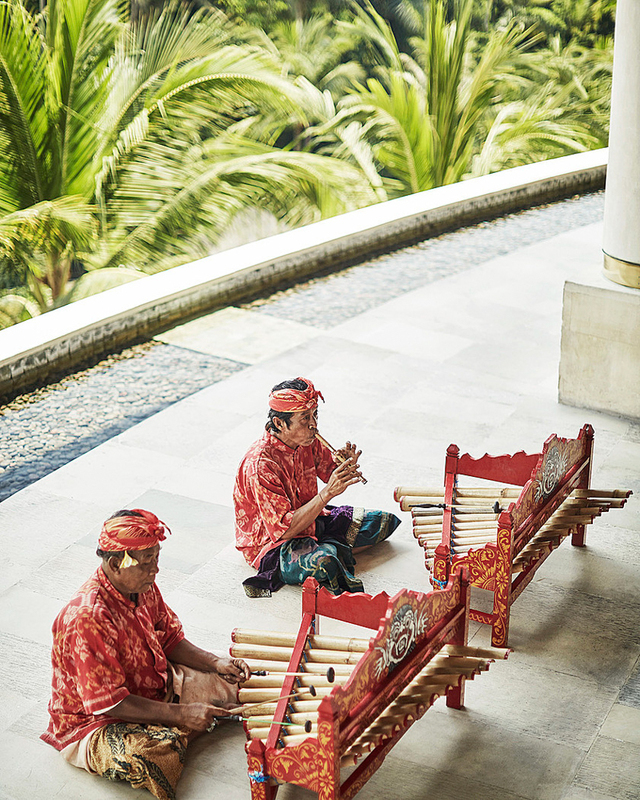 The setting is elegant and sophisticated, combining contemporary interiors with traditional Balinese architecture, panoramic ocean views and Four Seasons legendary service. 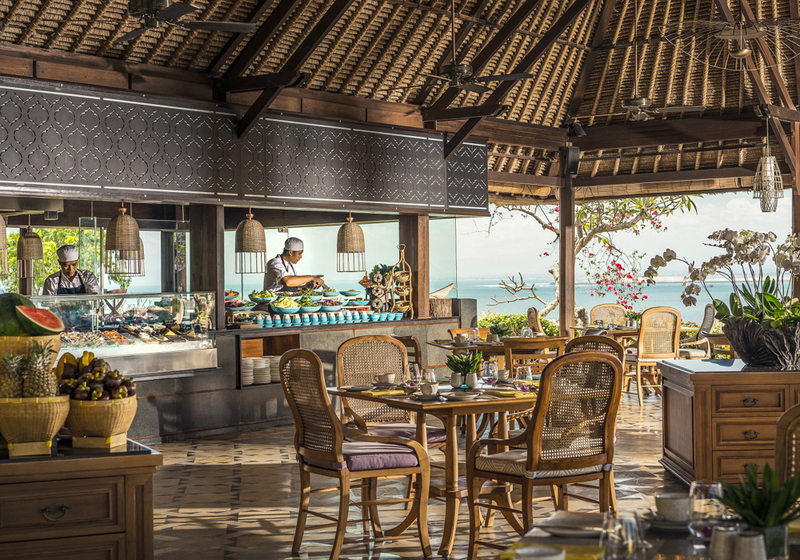 Our highlight though was the special Patisserie room filled with the most delicious treats including homemade (made to order) pancakes. 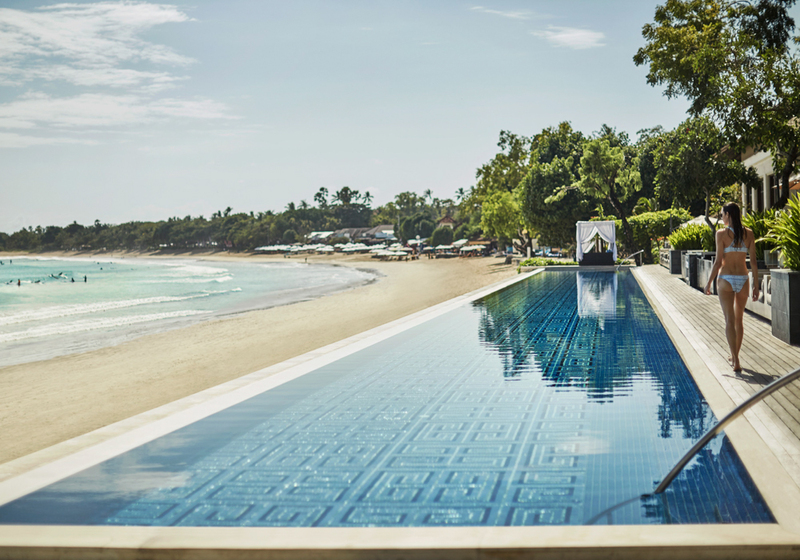 The Jimbaran Bay location was the first luxury resort to open in Bali and the Sayan was the first to have plunge pools, just proving to me again that the Four Seasons brand continue to set the high level of luxury standards that others follow! 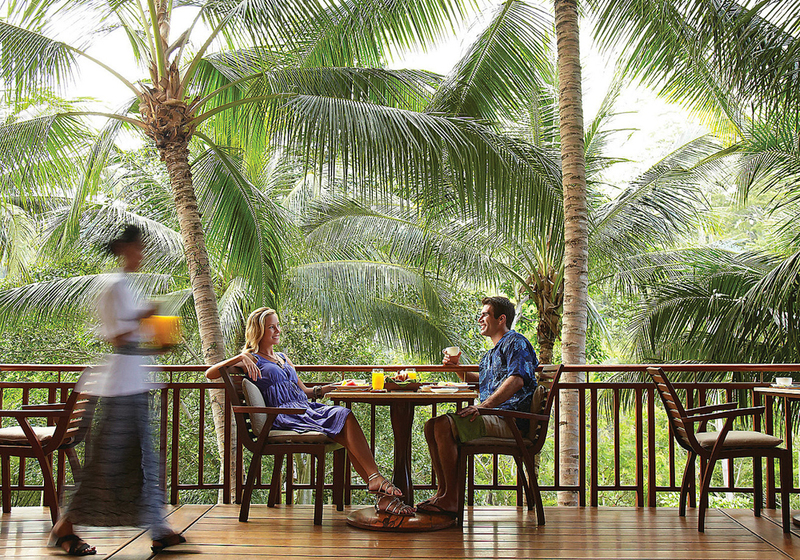 Go to the Jimbaran Bay and Sayan Four Seasons websites for more details and bookings.